Inspired by the sporty and vibrant styles found in their footwear, Skechers Eyewear by Viva International Group has developed parallel designs for their spring line of eyeglasses. The new collection introduces four new specs, two for the ladies and two for the gents, that will have you looking and feeling fashion forward and confident. The feminine models are all about the temple embellishments. Innovative materials, including carbon fiber, were used to infuse the mesmerizing pattern of color and light. Darling details like the abstract heart, color blocking and textured designs provide the finishing touches to make these specs a must-have spring accessory. The men’s models are a bit more demure and offer a distinguished vibe for the dapper dudes. 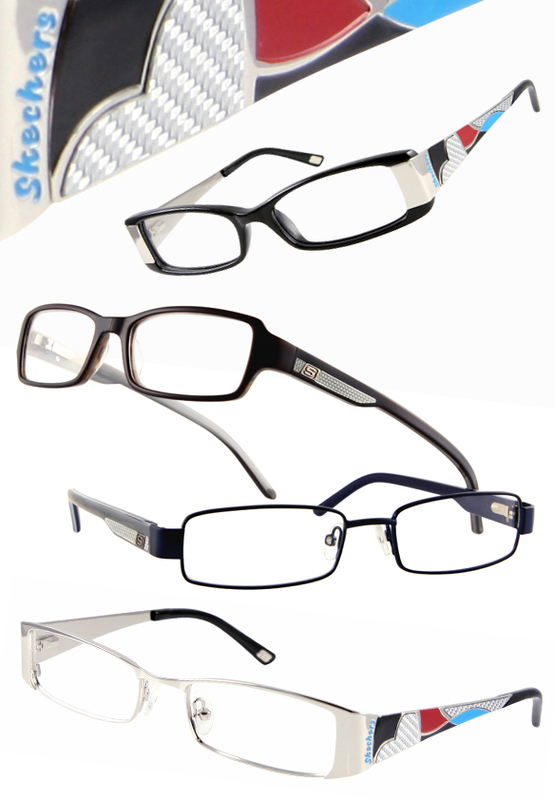 The frames feature a sleek carbon inlay with the Skechers iconic “S” logo on the temples. Both specs come in a modified rectangular shape and are available in a rich blend of colors.